This year is the 150th anniversary of Alice’s Adventures in Wonderland. I have long since discovered that I can’t be friends with anyone who doesn’t like Alice. Two days ago, Lisa Mantchev and I spontaneously broke out into a dialogue on FB that would have been appropriate at a certain mad tea party. Which reminded me that TODAY IS MY UNBIRTHDAY. 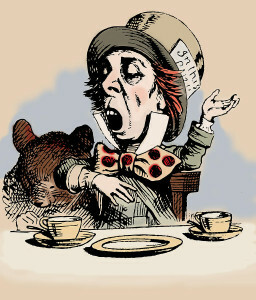 Now, by Mad Hatter standards, a person has 364 unbirthdays (and a stopped watch is correct twice a day). But today–this day right here–is a very extra special unbirthday, and I’ll tell you why. As most of you know, my *actual* birthday is January 11th. A fortuitous birthday to be sure — easy to remember, no matter which side of the pond you’re from, and pretty darn lucky from a numerological standpoint. However, as any good Capricorn (and a few Saggitarians) will tell you, any birthday within two weeks of Christmas is just too darned close to Christmas. Everyone is exhausted–mentally, physically, and monetarily–from the slew of holidays, and your birthday is just one more thing on the to-do list that should have been over already. Now, I’m a fan of Christmas, so I’m not one of those folks (*cough*Robin*cough*) who goes ballistic if my birthday present happens to have Santas all over the wrapping paper, and after many years I got over the whole “Birthday-Christmas Combo Present” cop-out that most folks take. No…what really got to me was the month of June. Every June, giant boxes would show up at our house from all around the world. My mother’s birthday is in June, as is my little sister’s (yes, I grew up with two Geminis and learned how to be strong and patient because of it). While my father is a Capricorn like me (he shares a birthday with Elvis and David Bowie), June is also Father’s Day. That’s right–every June our house was like Christmas all over again. Sometime around my thirteenth birthday, I decided that I’d had enough. I announced that I was changing my birthday to June 11th — my half-birthday of sorts — a day that dovetailed nicely alongside the Kontis Birthday/Father’s Day Summer Extravaganza. Everyone thought this was a great idea. You guessed it: It totally backfired. Not only did I not get any presents for my *actual* birthday that year, but by the time June rolled around, everyone had forgotten about it. Everyone, that is, except my Memere, who sent me a card (and other cards, randomly, in summers after that because she never could keep my birthday straight). As written in Enchanted: Some things are meant to be, and some things are meant to be great stories. 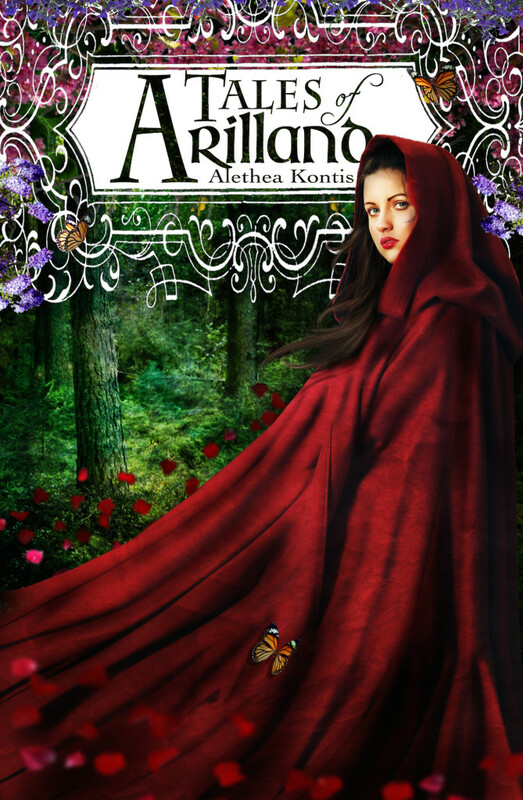 “Alethea’s June Birthday” is one of the Kontis Classics. As a Very Merry Unbirthday present to us all, I am super crazy excited to reveal to you the cover of my fairy tale short story collection TALES OF ARILLAND. Want it on Kindle right this very second? CLICK THE PICTURE. Happy unbirthday! These stories are all fairy tales I have written, and every single one–in some way, shape, or form–relates to the world of Arilland. It’s a nifty thing. Some of them I wrote on purpose based on Arilland mythos (“Hero Worship”) and some I loved so much that I actually found a way to include it in the Arilland mythos (“Unicorn Hunter” and “Blood and Water”). What am I doing talking? Shoo! Go forth and read! And be sure to share the magic!